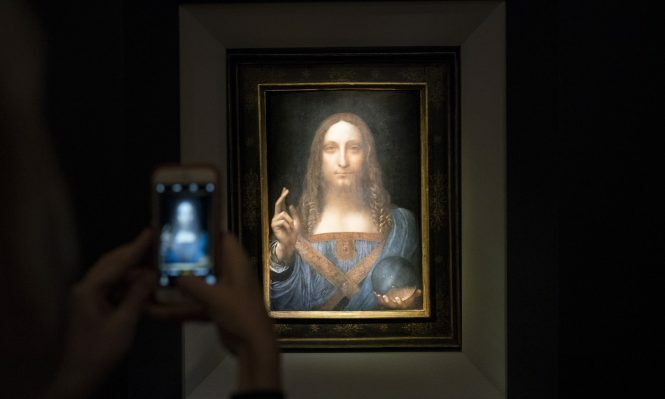 Leonardo da Vinci’s Salvator Mundi, a prized painting of Christ dated to c. 1500, was recently sold for US$450.3 million. 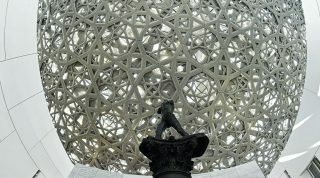 The recently completed Louvre Abu Dhabi, which cost roughly US$700 million to build, will soon house a painting worth more than half the entire design and construction budget. For many art enthusiasts, this coupling is a match made in heaven. After all, the painting in question is Leonardo da Vinci’s Salvator Mundi, a prized painting of Christ dated to c. 1500. It stirred much excitement after its record-setting US$450.3 million sale at an auction last month, purportedly to a little-known Saudi prince named Prince Bader bin Abdullah bin Mohammad Farhan al-Saud. The painting will be in good company, seeing that the Jean Nouvel–designed architectural marvel is already filled with paintings by renowned artists such as Pablo Picasso and Vincent van Gogh. 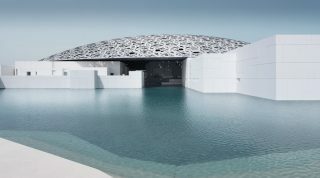 Louvre Abu Dhabi is the first museum to bear the Louvre name outside France and has been billed as “the first universal museum in the Arab world”.